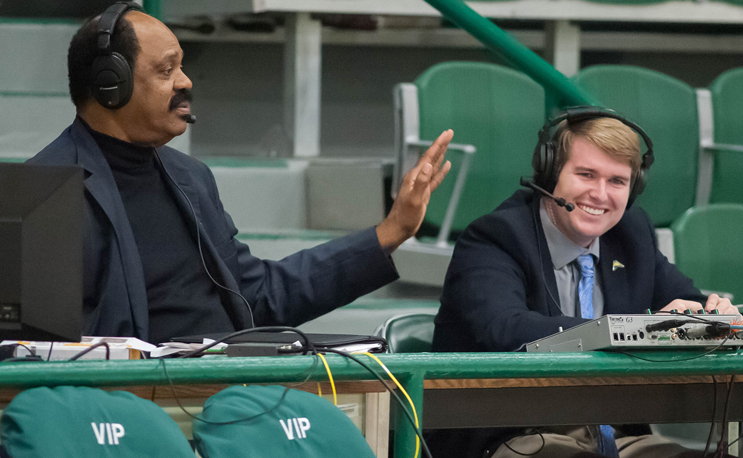 DAYTONA BEACH, Fla. – Bethune-Cookman University Vice President for Intercollegiate Athletics Lynn W. Thompson has announced the hire of Nolan Alexander as the “Voice of the Wildcats”. Alexander brings experience from a Power Five school and Sunshine State flare to his duties as the play-by-play broadcaster for BCU’s athletic teams. Alexander arrives to Bethune-Cookman from Jacksonville University, where he began in August 2015 and served as a broadcaster for all Dolphins sports across radio and ESPN3. He also served as the primary public relations contact for Dolphins football, baseball, men’s and women’s lacrosse, and men’s and women’s rowing during his two-year stint with JU. In addition to the Director of Broadcast Media, his current role includes the title of Assistant Director of Communications and will help in the publicity of the athletics department. He will serve as the primary contact for men’s basketball, as well as sports assigned later by the Office of Athletic Communications. Alexander previously served in the Georgia Tech Communications and Public Relations department as a student-assistant, and as the “Voice of Yellow Jackets Baseball” from 2011-14. In summer 2014, he held the role of Media Relations Manager and “Voice of the Missoula Osprey” (Rookie-Arizona Diamondbacks). His broadcasting experience also consists of ESPN3 work at Georgia Tech, the Bourne Braves of the Cape Cod Baseball League, and high school football and basketball in northeast Georgia’s WDUN, where he earned the 2015 Class AA GABBY for best sports play-by-play. An Atlanta, Georgia native, Alexander earned a Business Administration degree with high honors from Georgia Tech in December 2014. His first BCU broadcast will be during next week’s NCAA Baseball Regional, and will later handle the call when Wildcats Football opens its 2017 season against the Miami Hurricanes on September 2, at Hard Rock Stadium in Miami Gardens, Florida. For all Bethune-Cookman Athletics news, follow us on Twitter (@BCUathletics), Instagram (@BCUathletics), Snapchat (@BCUathletics) and Facebook (www.facebook.com/BCUathletics).